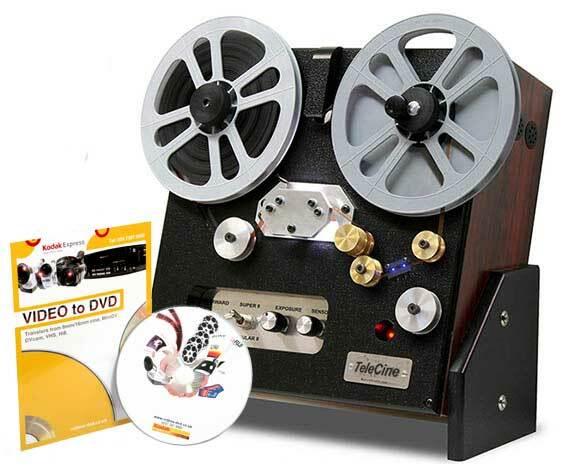 Transfer, copy and conversion of Super 8 and Standard 8mm cine film to DVD and Editable File Formats. Operating under the Kodak Express umbrella of great customer service and superb quality, we have been encoding and transferring cine film footage to DVD and digital file formats for over 15 years. We continually invest in the latest technology to ensure that cine film transfers produce the highest quality output for our clients. Our cine film transfers are done onsite by our highly experienced technicians. The colour balance of your cine film may well have changed over the years. There are several factors which can cause this. One of the most common faults encountered is a shift towards magenta and red. Our cutting edge equipment allows our technicians to adjust the colour balance as the film is being scanned. This is a far superior method than adjusting the colour balance in post production. We will assess your cine film for damage and cleanliness when it reaches us. Most films need no more than a quick puff of air to remove dust and hairs. Occasionally, cine film may need resplicing in order to run through our machines without incident. All this is done free of charge. MOV give excellent quality for editing both on MAC and PC computers and are compatible with all industry standard video editing programs. Each minute ofdigital MOV files takes up approx 1 gigabyte. The footage will need to go on an external hard drive or large capacity USB stick. You can supply your own or we can supply one for you. Once we have the MOV file, it is a straight forward process to convert the file into other video formats. For example, you may need MP4 video files for uploading to your iPhone or iPad. Super 8mm film transfer - "I dropped my Super 8 cine film in for transfer to hard drive as digital files for editing. The quality of the files was better than expected and the price and service really exceptional Well done and I will definitely recommend you. 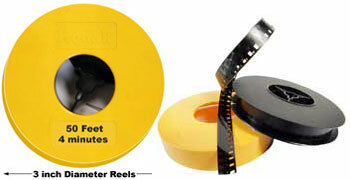 Many Thanks"
Prices for Super 8 cine transfers start at just £11/reel. 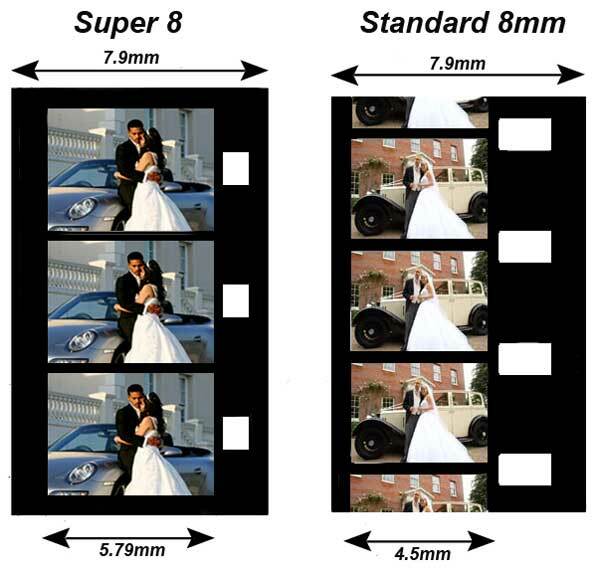 For full details of Super 8 cine costs download our PDF price guide. This only applies to reels sizes 200ft and above. There is non extra charge for cine with sound..
We can also add background music to cine film transfers at very affordable prices. Should you need your DVD copies urgently, we can normally meet ANY deadline. Rest assured that your cine film will receive superlative care and returned safely to you. We have more than 15 years experience working with cine film of all types including Kodak Kodachrome, Fuji, Agfa, Polavision, Ilford and Boots.